Corey Clark was born and raised in Orange County, California. He began studying photography in 2007 and discovered painting in 2014. He is a self-taught artist, inspired by his surroundings. 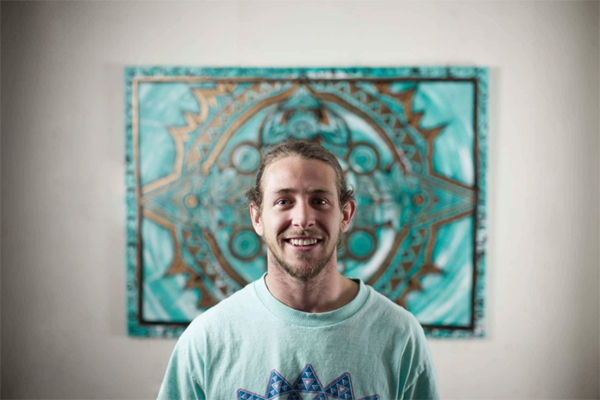 Through art, Corey is exploring the depths of the creative mind for himself and others. He hopes to motivate and inspire others to express themselves without limitations. The mandala is his signature symbol, as it represents spirituality, the universe, and infinite possibilities. Corey continues to be inspired by the world around him - his art reflects his personal healing and transformation as he grows to become a more conscious individual. Through his passion to inspire others to create for themselves. The products below have been designed by Corey, to see more of his work, click this link to see his website.